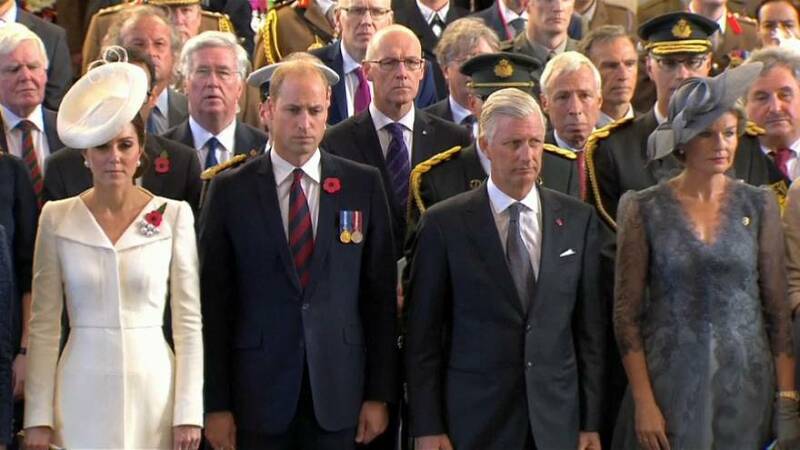 The British Royal couple joined members of the Belgian royal family and relatives of soldiers in the city of Ypres to mark the centenary of the WWI Battle of Passchendaele named after the final offensive in the last great war of attrition on the Western Front. More than half a million Allied and German soldier were killed, wounded or went missing in the hard fought three-month long Allied offensive by British and Commonwealth forces. The fighting took place on rain-drenched battlefields that turned to liquid mud and barely moved the front line against the Germans. Later the royals joined Belgium’s King Philippe and Queen Mathilde for a ceremony at the Menin Gate in Ypres which is etched with the names of thousands of missing soldiers. The service ended with the Last Post, the mournful British Army bugle call that sounds at military funerals and ceremonies. The tune has been played at the Menin Gate almost every evening since 1928.